Martyn posted here that we had bought our seed potatoes from our favourite local garden centre. In part it is, Martyn's favourite as when we visit he has the excuse to pop into their excellent coffee shop and enjoy a latte and cake. The varieties that we chose for our main planting area were ones that we have grown before and were selected on the basis of yield, flavour and disease and pest resistance. We chose seven varieties. Four are varieties that have done well for us in the past - Kestrel, Nadine, Winston and Casablanca. The other three - Orla, Amour and Vivaldi - came through last year's trial of new, (to us) varieties. One variety, Vivaldi did appear to be a slug magnet but managed to make the final list purely on taste. Maybe this year the slugs will find it less attractive. These seed potatoes have been store in the dark in the garage as we don't want them to start shooting just yet. We have selected six varieties for this year's trial bed and have bought four tubers each of, Rooster, Osprey, Innovator, Isle of Jura, Saxon and Cara. All, except Cara which we grew a few years ago, are new to us. If any of these perform really well they may oust one of this year's main varieties. As these varieties already had small shoots they have been set out to chit in the summerhouse. Martyn put together a short video here. It's always tricky recommending potato varieties as the way they perform is affected by so many variables. Soil - even in different areas of the plot, prevalence of pests and diseases, weather and even the microclimate of a bed all affect the yield and even the taste of the crop. We may find that a variety does really well one year only to disappoint the next. This is one reason that we grow a selection of varieties. Another is that varieties have differing cooking properties. Some make good mash whereas others are good for roasting, baking or chipping etc. Conflicting opinions about a variety can be confusing but understandable, if you take into account the above reasons, so you need to find a variety that does well for you and the conditions that your growing area can provide. Just out of interest what variety of potato will you grow and what type of soil and conditions can they expect to grow in. Of course what the weather may throw their way is a mystery to us all. I'd noticed that bulbs were starting to pop through in the flower bed at the front of the house, so I have been meaning to cut back the perennials to allow the shoots access to more light and to improve the air circulation around them. It was dry and bright today so, in order to give the bulbs the best chance of performing, I decided to try and get the job done . The bed isn't very large but I still managed to remove three large compost bags full of plant debris. This will be added to the compost bins on the plot. 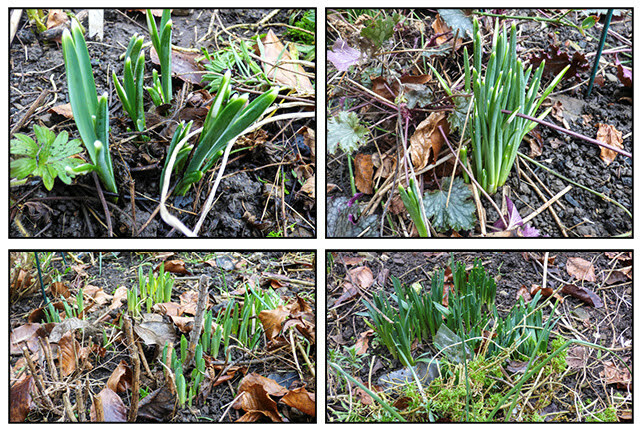 There's still some tidying up to do but at least now we can see the various bulbs shooting. Over the years I have planted all sorts of bulbs here so it is always interesting to see which have survived. 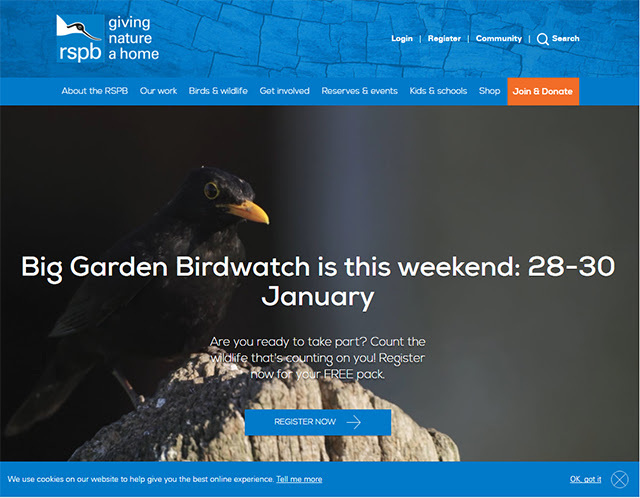 This weekend we will be taking part in the RSPB annual Big Garden Birdwatch. As usual our watch will be carried out from a house window in far more comfort than the birds will be experiencing. 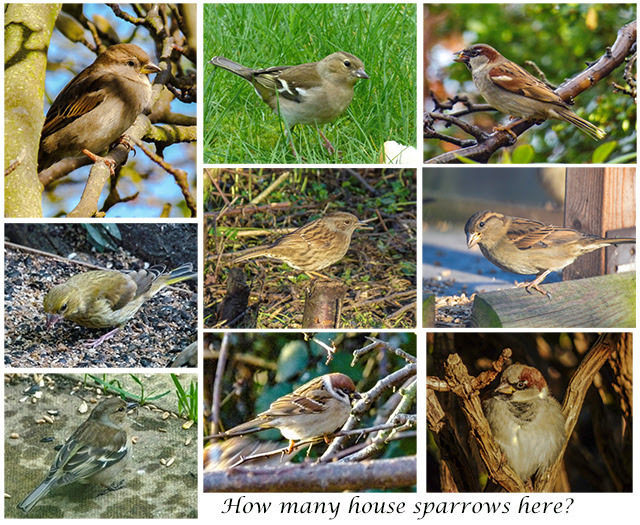 It's a really easy 'task' - all we need to do is log how many birds of each species we see at one time in a chosen hour during the period 28 - 30 January. 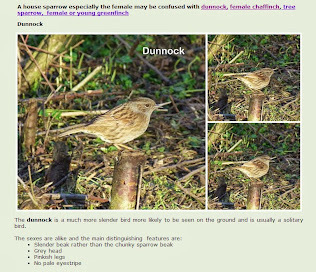 More information is available on the RSPB site here from which you can also download a free information pack. 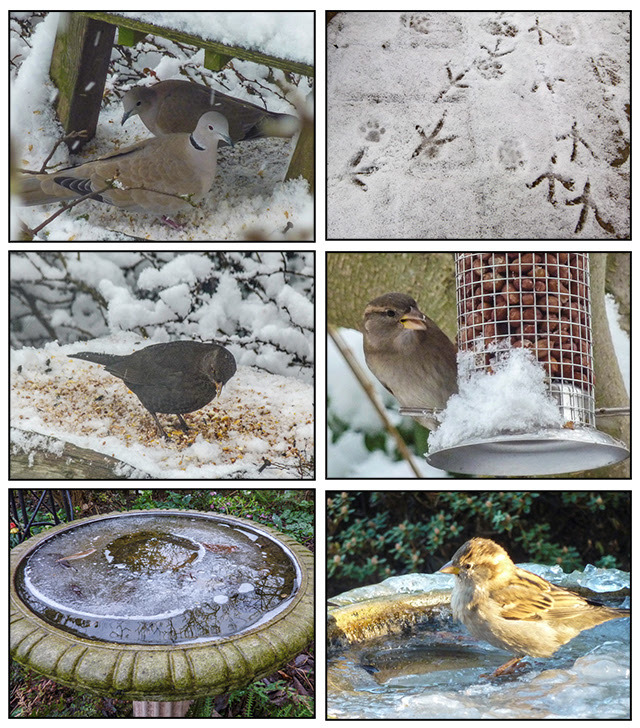 Over time we have enjoyed watching a wide range of bird species visiting our garden. Our sighted species list is here. During bird watch weekend, however even our regulars are noticeable in their absence. I often wonder whether this is as a result of more people feeding the birds so they can take part in the watch. It would be a shame if these people forget about the birds once the novelty wore off and stopped putting food out. I also wonder how much the information is skewed by birds being misidentified. For instance a female blackbird can be mistaken for a thrush and to some people a small brown bird is always a sparrow. I wrote an article on our website a while ago about how some species could easily be mistaken for others. It includes lots of photographs and is here if you are interested. Last year our bird count results were disappointing - the lowest overall total during the time we have been recording the numbers since 2012. Our previous years' totals are posted here. I hope that this year the birds decide to stick around. Maybe it wouldn't hurt to remind them who tries to help them out when the going gets tough. We don't like spinach or chard. Advice that we would give to anyone new to growing vegetables would be to grow what you like to eat so why on earth would we decided to grow both spinach and chard next year. Well it does seem that spinach and chard are popular with many of you and they provide greens at times when other green vegetables are not producing a harvest. Also from reading some of your blogs it seems that they go some way to plugging the 'hungry gap'. Of course even taking this into account it would be silly to grow something neither of us actually would like to eat so what has caused the change of heart? The answer is we think we have discovered the secret of making the formally despised vegetables into valuable additions to our diet. Over the year when lunching out we have sometimes chosen to eat some vegetarian options that in the past we have avoided as they included spinach. We have eaten vegetable biryani, vegetable lasagne and quiches where spinach is an ingredient and I have even bought some spinach to use in fried rice or stir fries. The dish above could have had a bit more spinach in but as it was my first attempt at cooking with it I was being careful just in case. So spinach has been an ingredient in some dishes that we have really enjoyed. The secret that you have all probably been aware of all this time is that spinach, (and hopefully chard), is a completely different beast when used as an ingredient rather than as a standalone vegetable. Amazon is supposed to produce baby leaves through spring and autumn and Giant Winter Spinach is supposed to be harvested from October. For chard the blurb states that we can harvest from May - September. So now I am looking to you all to come up with some tasty ideas for using these vegetables and truly convincing us that they deserve our love. 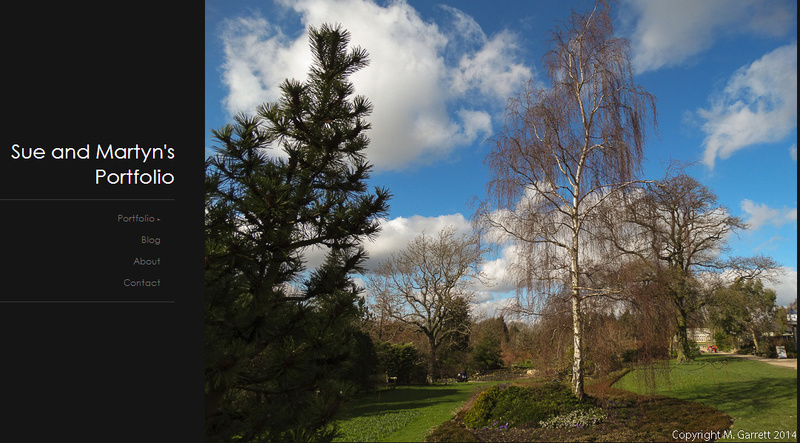 For a week or so now, I have wanted to tidy what we think of as the early spring bed under the magnolia tree. The bed is home to our hellebores and snowdrops and as it is just outside of the windows at the side of the house it provides us with a cheerful picture early in the season. I'd noticed that the hellebores were starting to form flower buds and so I needed to cut back last years foliage to let light through to the developing shoots. The fallen magnolia leaves also lay thickly around and on top of the plants. Saturday bucked the trend of recent gloomy weather and and I was encouraged out into the garden by a few rays of sunshine falling exactly where I needed to work. Some shoots were just beginning to push through the soil. Others had flower buds ready formed. Some had made good progress having pushed through where the carpet was at its thinnest. I like to leave as many of the fallen magnolia leaves in situ to gradually rot down naturally. 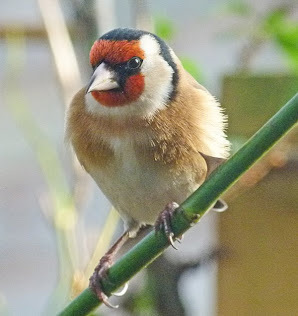 As well as adding leaf mould to the borders they create a foraging area for the birds and any other passing creatures. 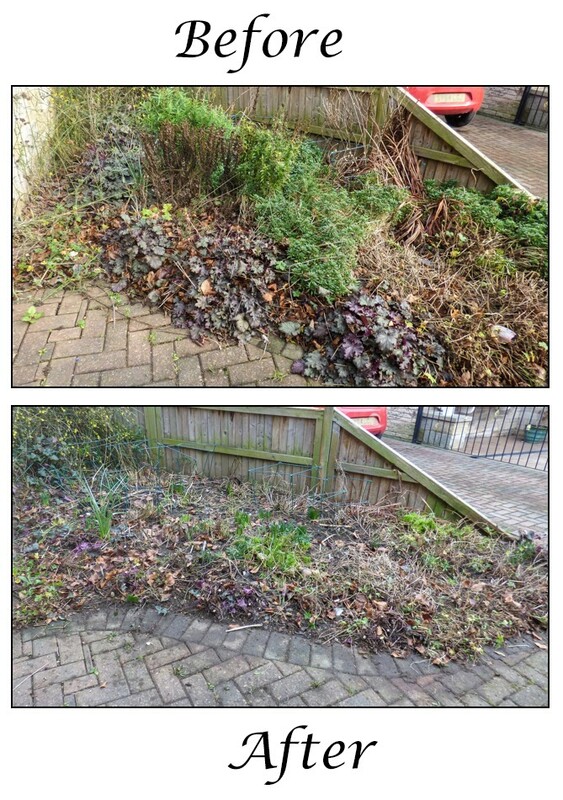 I did clear away some leaves to reveal hidden treasure. When we visited the plot last week we only harvested a few things to top up our stock of vegetables. Whenever possible and weather permitting we try combining our harvesting with a little work. Last week the little work was for me more tidying of our rose/perennial bed whilst Martyn treated our fruit tree to a winter wash. He has posted about this here. We only harvested sprouts and leeks which will be shared with my sister. As you can see the leeks haven't followed the example of our giant carrots and parsnips. Last week's carrots and parsnips are still keeping us supplied and so there was no need to dig up more. Just one root is providing us with plenty for two or more meals and in answer to some questions posed last week - yes despite the size they taste good and are not in the slightest bit woody. The roots keep well outside under cover to keep them dry and we also have our onions, shallots and squash stored in the summerhouse and potatoes in the garage so we will survive even if the weather prevents a plot visit. Michelle is standing in whist Dave has a well earned break. We started 2016 with a long row of summer raspberries comprising of two varieties - Glen Ample and Tulameen. We were off to a promising start as all the canes produced new green shoots. The earlier fruiting, Glen Ample were producing flower buds and then suddenly the leaves started to go brown and shrivel and the plants just gave up. It remains a mystery as to what struck the Glen Ample canes as I couldn't find any signs of the usual raspberry diseases and the Tulameen canes growing alongside them were unaffected and went on to produce a good crop. We are, however left with a planting gap and have been considering what to replace them with. 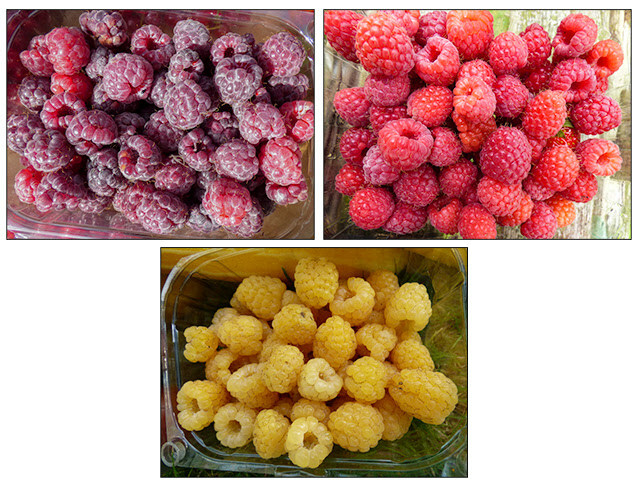 Tulameen produced plenty of summer raspberries which were supplemented by our purple raspberry, Glencoe. Our All Gold yellow fruiting autumn raspberry kicked in once the summer fruits had finished cropping. Hopefully next year the red autumn fruiting variety Joan J will join the party. We like to grow fruits that are a little different and wanted something suitable that would grow along our allotments boundary. I came up with a black raspberry. It is claimed that the fruit is a superfruit, packed with health promoting properties, that knocks any other superfruits into second place. It grows from a single plant like our Glencoe raspberry. 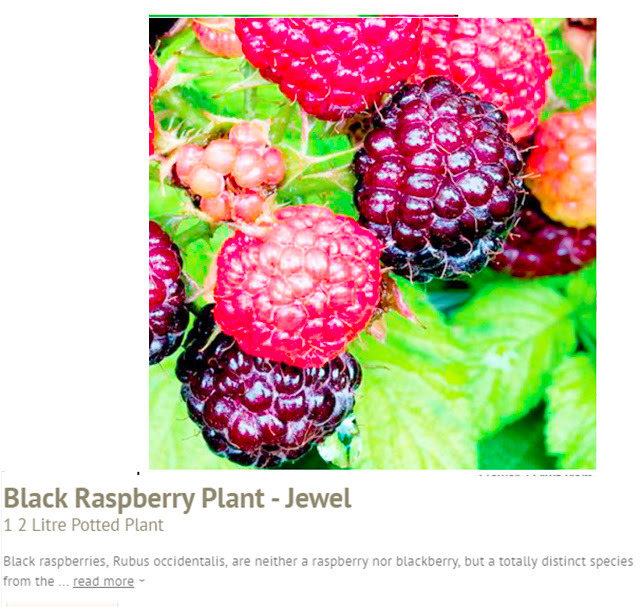 Apparently the fruit is a similar colour to a blackberry but formed like a raspberry. I maybe able to tell you more about it at a later date. Our plant arrived yesterday. It was a potted specimen but has been popped into a larger pot which will live in our greenhouse until we feel that the time is right to plant it out on the plot. For now we have to consider how we plant it. Being related to the raspberry I am concerned that whatever led to the demise of the raspberries may still be lurking in the soil so the best plan may be to remove a 'holeful' of the original soil and fill with some new from elsewhere. Another possibility is that waterlogging killed the raspberry plants and so we will also use gravel to improve drainage in the planting area. I don't think we can do more then than to wait and see how the plant grows. We won't get any fruit this year as the black raspberry fruits on canes produced the previous year and as you can see from the photos, our new plant hasn't any canes that are likely to produce fruit. We gardners have to be patient don't we? My blog was named back in 2006 when the aim and focus was completely different. Back then it was a communal blog just to inform plot holders. So it was just called 'Green Lane Allotments'. When I decided that I wanted to make the blog more personal I wanted to keep it recognisable to the Followers that I had started to attract and so I rather unimaginatively renamed the blog, 'Our Plot at Green Lane Allotments'. 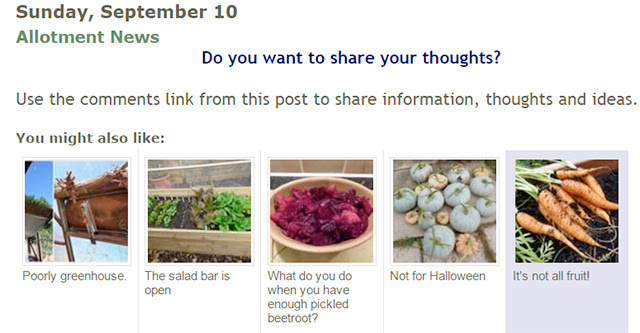 When I started adding posts about our garden, I continued the unimaginative trend and added a '& Our Garden in Ossett' tag. Lots of my fellow Bloggers have given such interesting names to your blogs. Even Martyn, (I'll get some comments from him about the 'even' bit) has a much more interesting and appropriate name for his blog. Let's face it, my title would hardly inspire anyone to take a look. I think the time has come to consider a new name but if I do will it confuse things. Obviously the Url will remain the same and I can leave it's official blog name the same but a more inspiring new name on the title banner shouldn't cause a problem should it? My thinking cap is on and I am open to any suggestions but be warned that I reserve the right to delete any rude suggestions. We managed a toe freezing visit to the plot last week to harvest a few things and do a little work on the plot. We had run out of fresh vegetables and as it wasn't raining or blowing a gale, we would have considered it a poor showing if we hadn't done a little work whilst we were there. Martyn did a bit of renovation work to one of our compost bays. Our plot neighbour had sorted out an old fence panel for us, so the job couldn't be put off any longer. 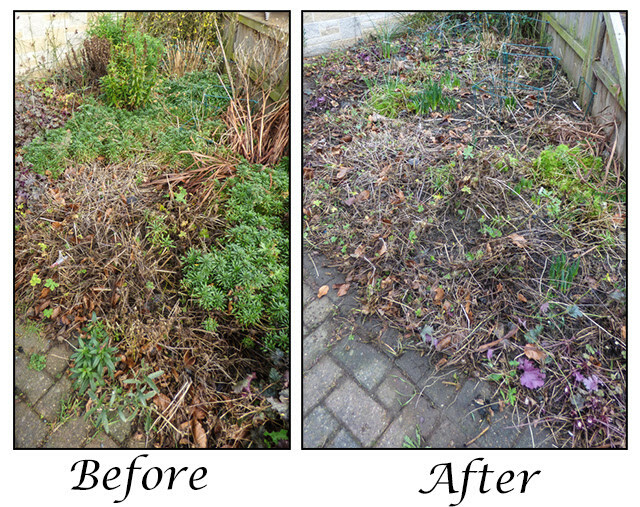 I have also started a long overdue task of sorting a flower/rose/shrub border at the edge of the plot. Of course the main reason for the visit was to harvest and we came away with this. Another typical winter harvest but let's look closer. I think this carrot is our largest specimen ever. The parsnips have been the best ever this year in size and shape. We will move swiftly on with only a passing mention of the diminutive leeks. We still have sprouts left on the plants. 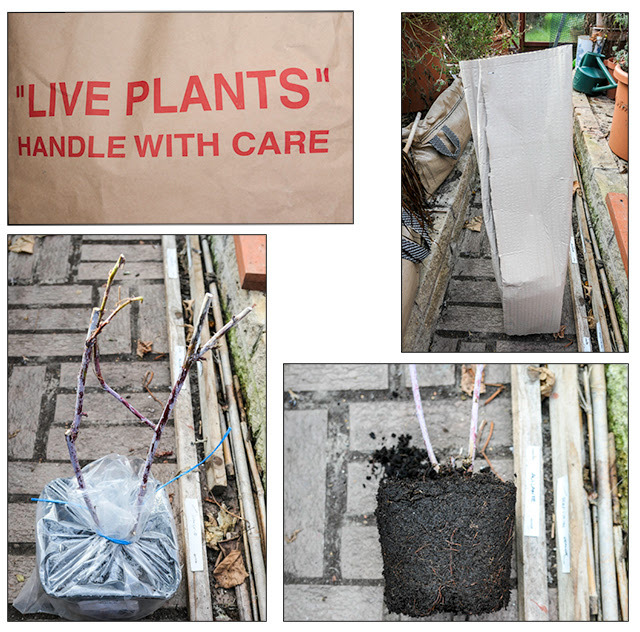 The plants have been grown under enviromesh in an attempt to keep them clean. In the past they have attracted nasty, grey, brassica, aphids. This has worked but something has still nibbled at the outer leaves. The damage doesn't look extensive enough to have been caused by slugs so I am thinking the culprit must be some sort of small caterpillar. The evidence is purely circumstantial as to date I have not come across the culprit. Does anyone know who the nibbler may be? Cropping isn't just something confined to the allotment but also features a lot in my photography. In both cases, it's a matter of picking the bits that I want be it the most choice berries on the blackberry canes or the best bits of a photograph. When I have taken shots of birds or animals a long way in the distance, even when my lens is on full zoom, my target subject often isn’t as prominent as I would like and so I use cropping to promote the subject. This is only effective if the photo has good definition to start with or the resulting crop will be too blurred. I use cropping to improve the composition either by cutting away unwanted parts if the image or again to make parts of the image more dominant. I removed the half bush from the right of the photo above. Unwanted people often creep into photos taken in busy locations. Above I have removed the person on the right. Above the post has been removed from the left and some of the scenery removed from the right. The train has been promoted to become a more dominant feature. Above the part flamingoes from the left and right of the photo have been removed. I also use cropping in macro photographs to 'in effect' magnify the subject and enhance the detail as in the shield bug below. In some cases where I just can't get close enough to the subject to obtain a good macro image I crop to create a macro as in the ladybird below. Here I wanted to show the markings that enabled identification of a harlequin ladybird. Obviously this will only be successful if the original photo has enough detail and clarity. 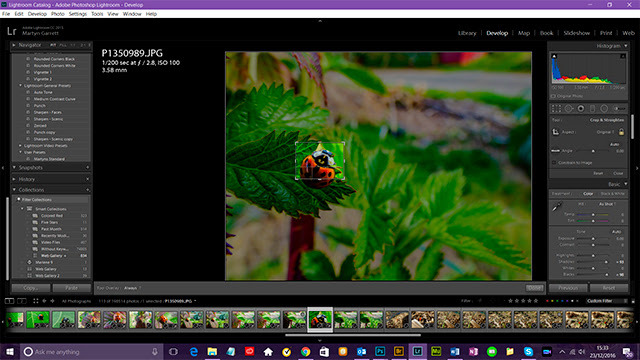 On a Windows PC there is a cropping facility in Photoviewer but I use a photo editing application called Adobe Lightroom as this allows you to do much more with your photos. More of this in later posts. I'm sure lots of you use cropping with your photos and it would be interesting to hear when you use it.